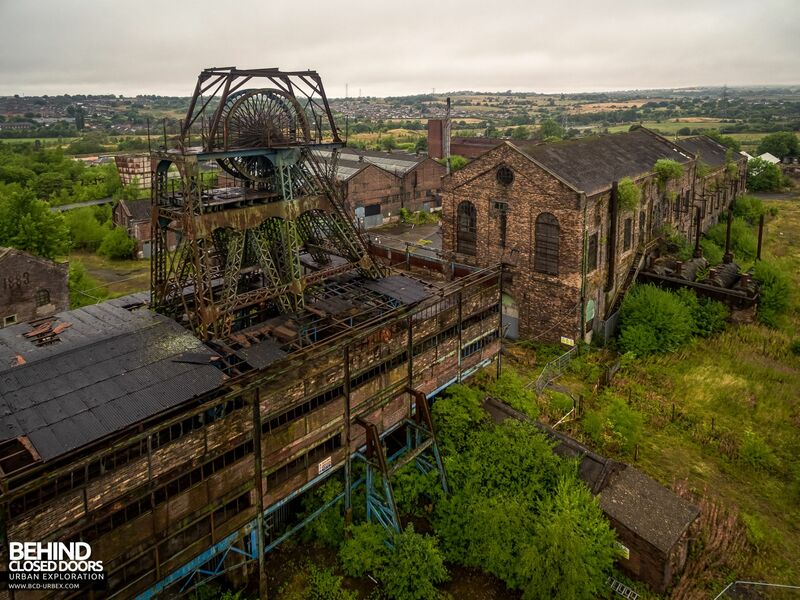 Chatterley Whitfield is a disused coal mine on the outskirts of Chell, near Stoke on Trent in Staffordshire. 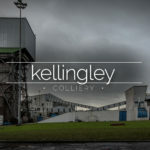 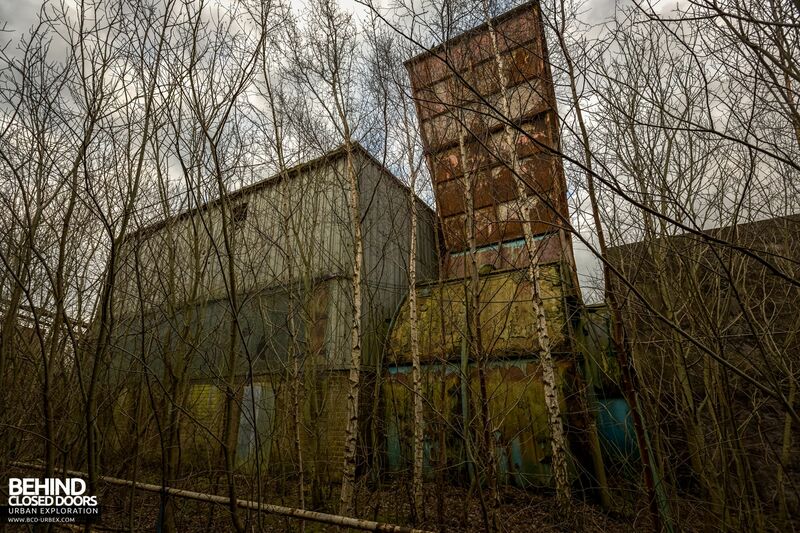 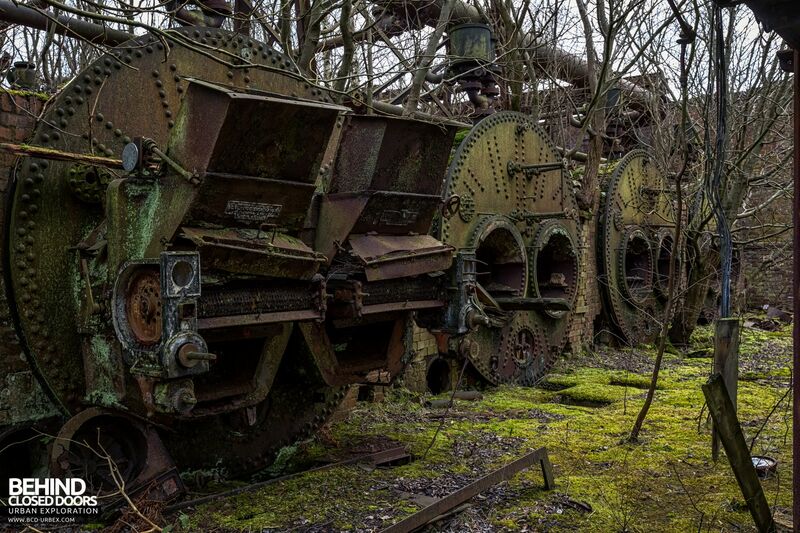 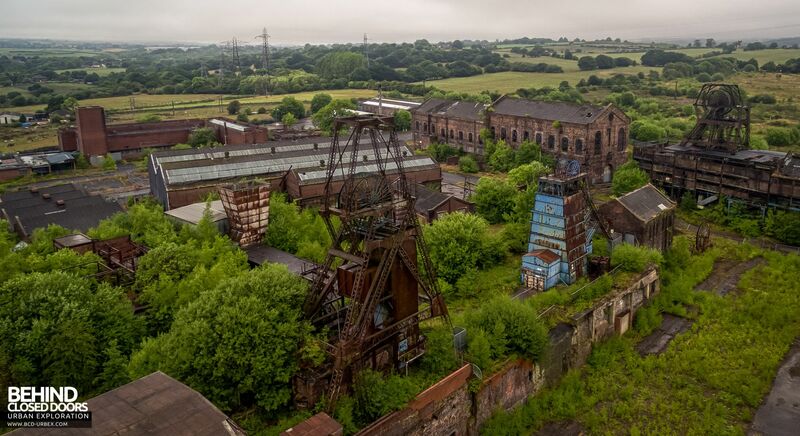 It is one of the most complete former collieries in Europe. 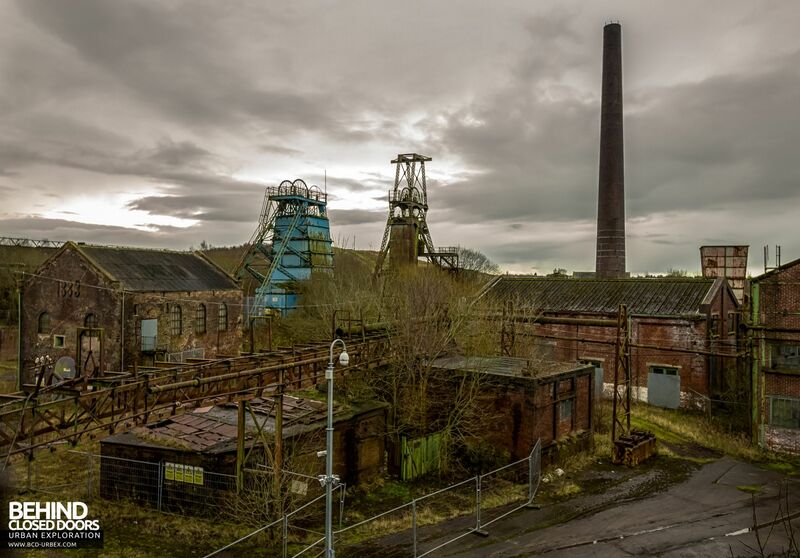 As such it has been designated a Scheduled Ancient Monument and a host of buildings on the site have Listed Building status. 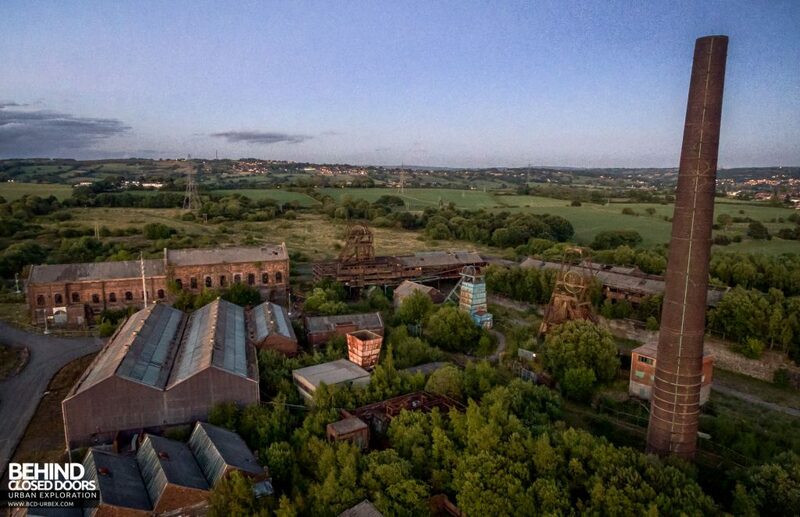 In its heyday, Chatterley Whitfield was one of the most productive sites in the country, and in 1937 was the first colliery to produce over one million tons of coal in a year. 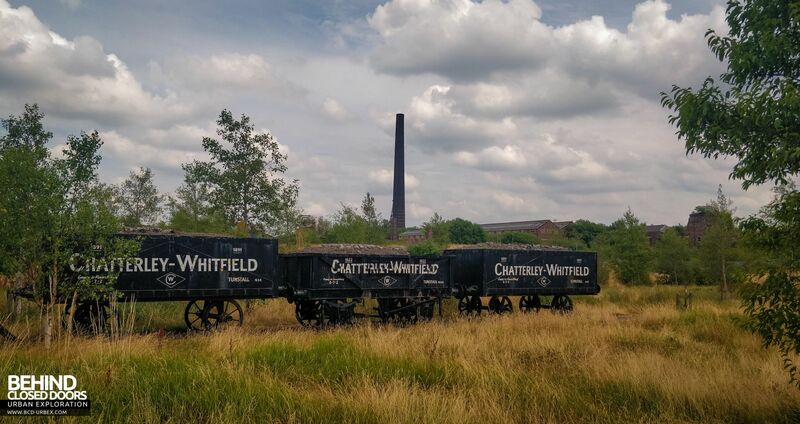 Chatterley Whitfield, is situated on the North Staffordshire Coalfield, where evidence suggests coal was first extracted in the fourteenth century, and the first records of mining activity date from the 1750s. By the 1800s a colliery had started to develop with a number of shafts being sank. 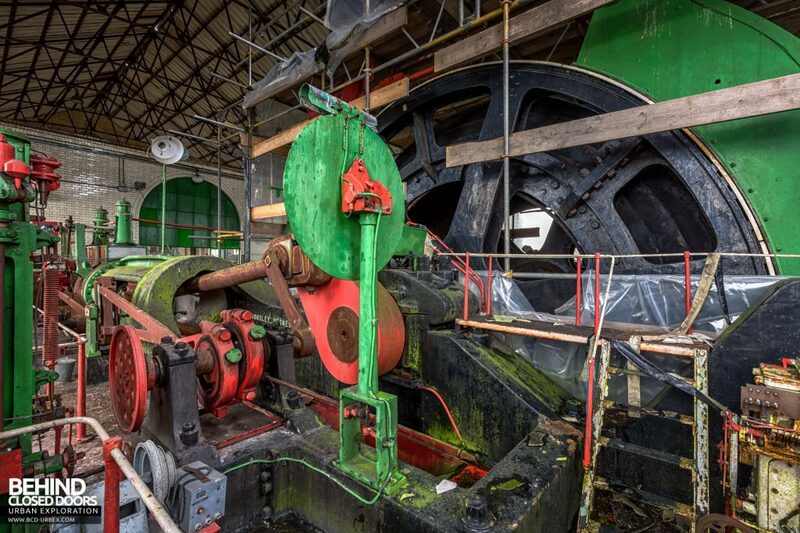 A great deal of expansion took place during the 1850s and 1860s. 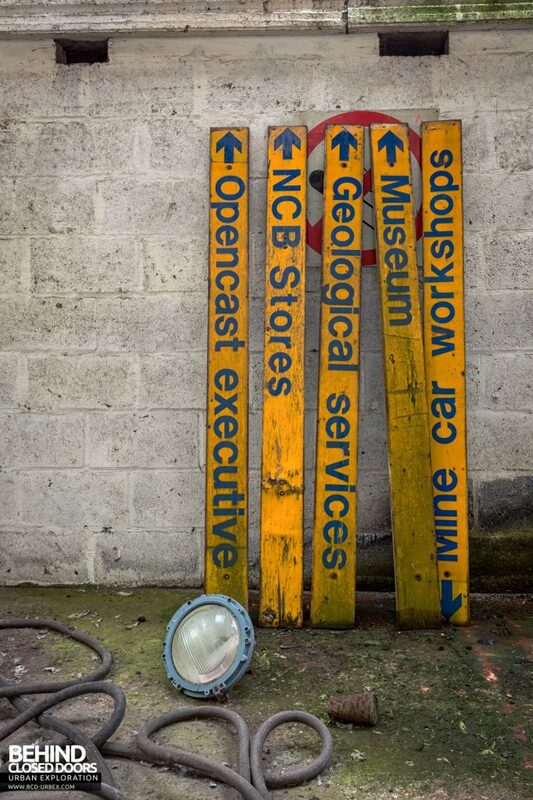 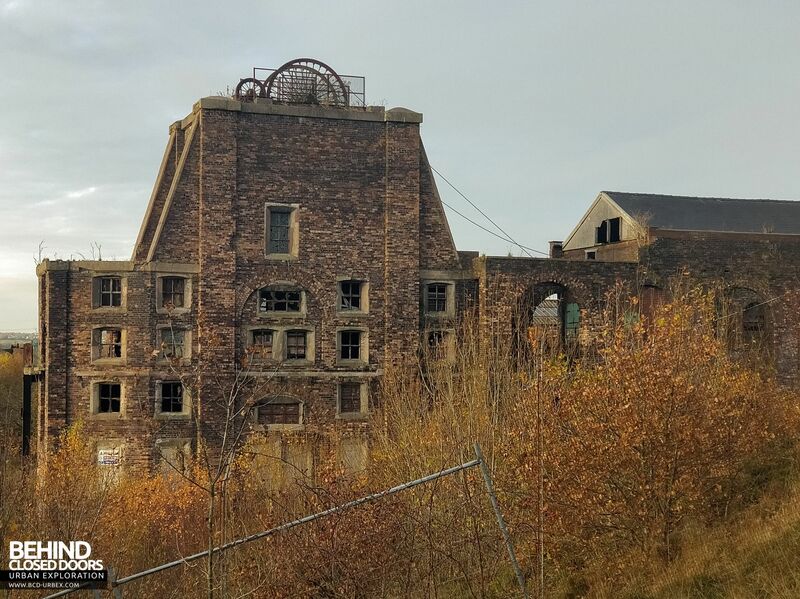 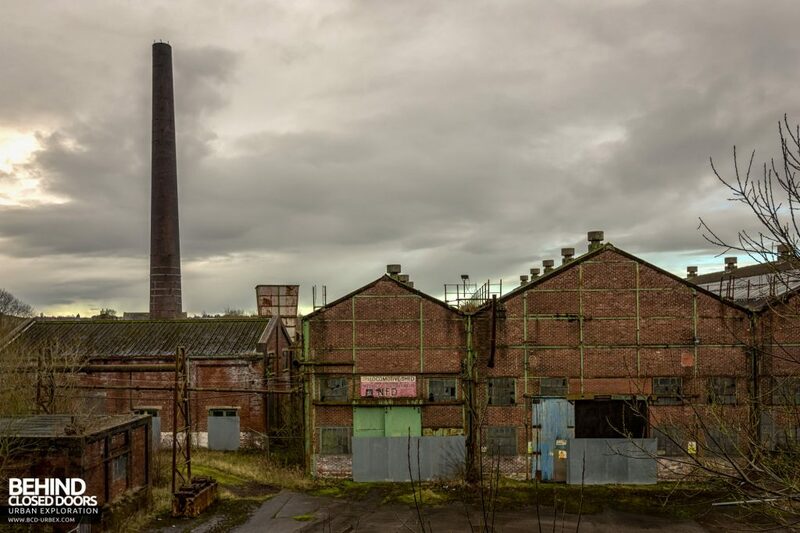 The colliery suffered badly during the recession of the late 1920s and early 1930s, but as the economy recovered in the years leading up to the Second World War, over £300,000 was invested in new plant, workshops and railway equipment, leading to record-breaking years in 1937-9. 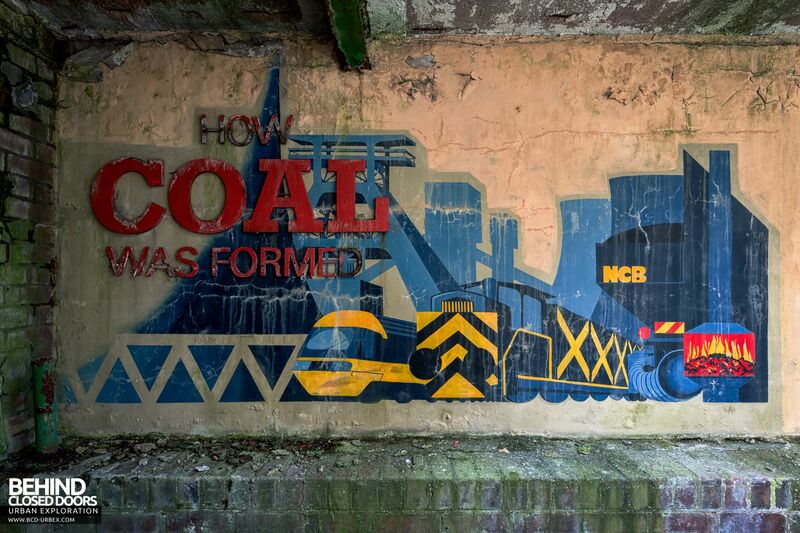 In the aftermath of the Second World War, the coal industry was nationalised, and the colliery saw significant modernisation. In 1974 it was decided that Whitfield coal could be more easily worked from Wolstanton Colliery and an underground roadway was driven to join the two pits. 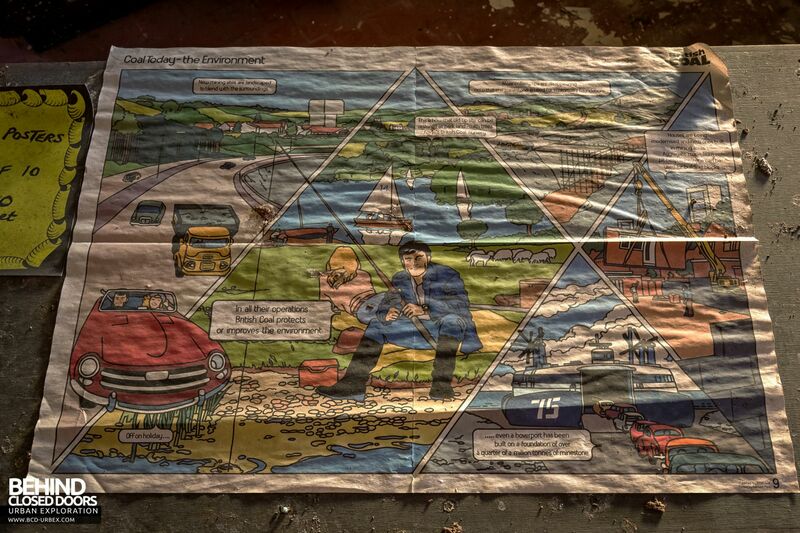 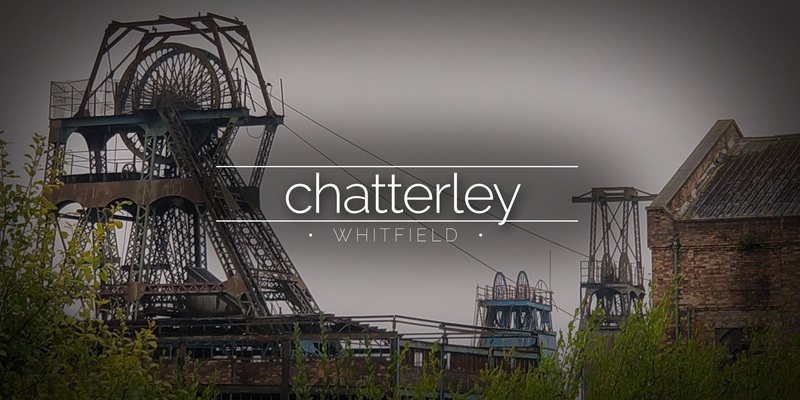 Chatterley Whitfield ceased production on 25th March 1977. In 1979 the site re-opened as the Chatterley Whitfield Mining Museum, with access to the underground workings via the Winstanley Shaft. 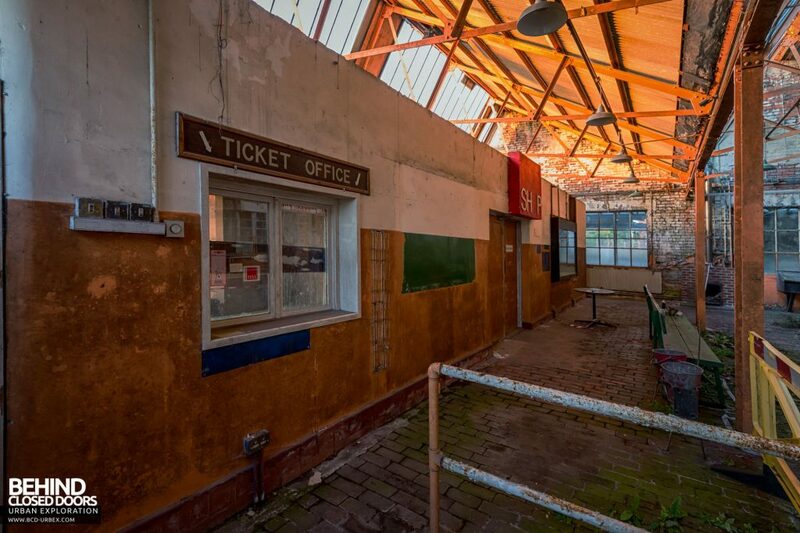 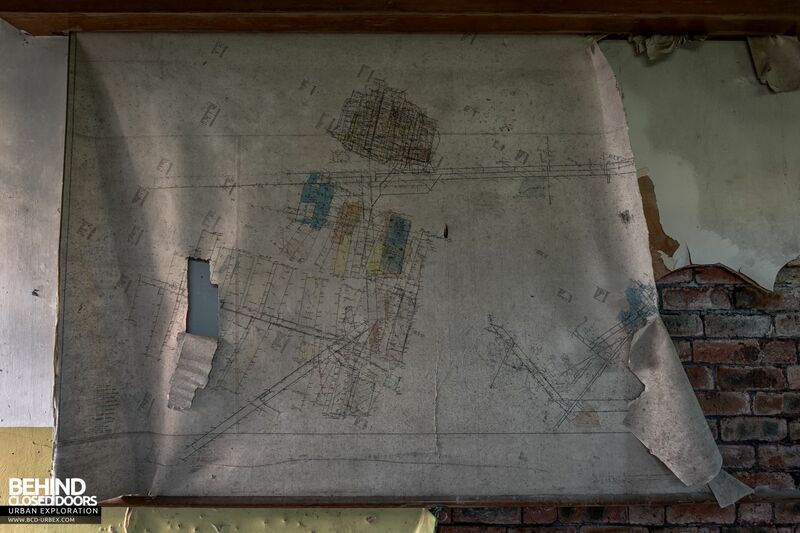 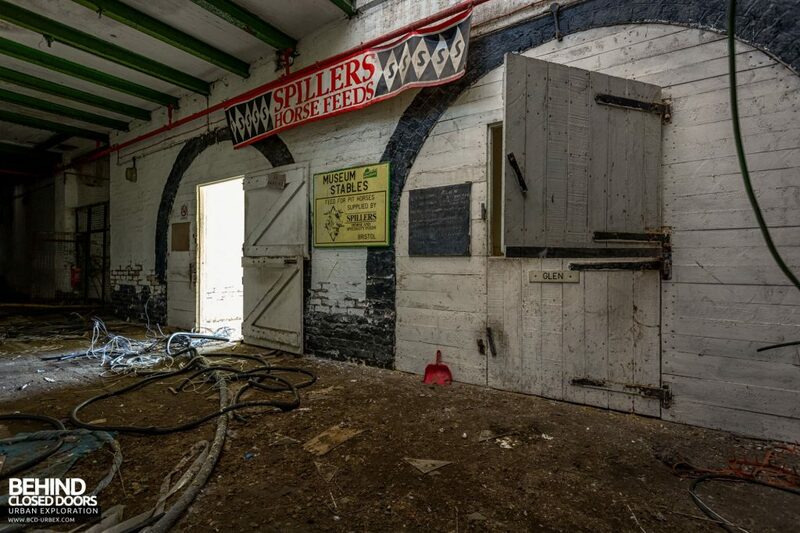 Many of the surface buildings were renovated and machinery was restored in its original working condition to show in great realism the life and working conditions of local miners. 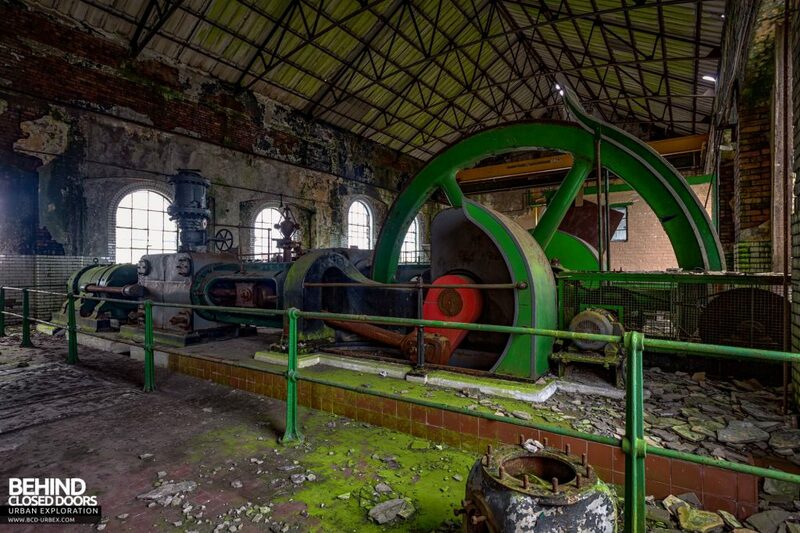 At it’s peak, it attracted 70,000 visitors a year. 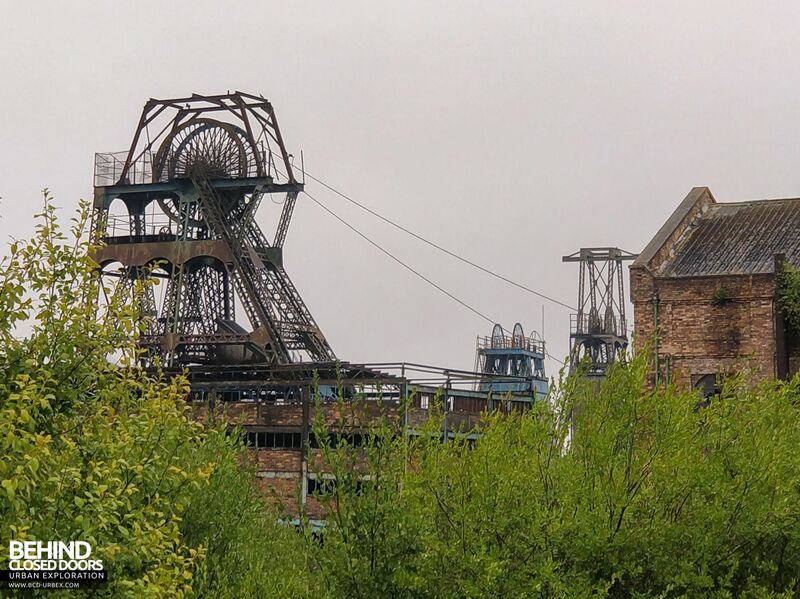 In May 1986, the nearby Wolstanton colliery was closed, from where water was pumped out of the workings. This lead to fears that the underground mining experience at Chatterley Whitfield would flood and there would be a build up of gas. 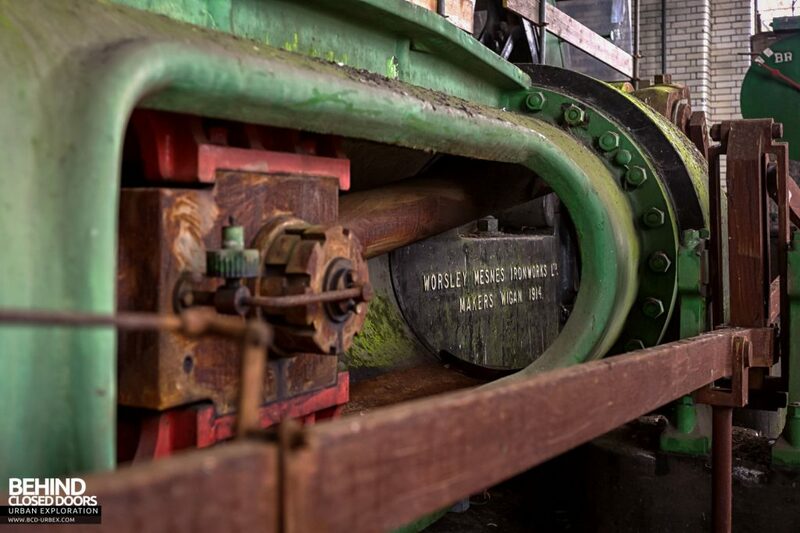 A new experience was constructed using shallow workings and a railway cutting. 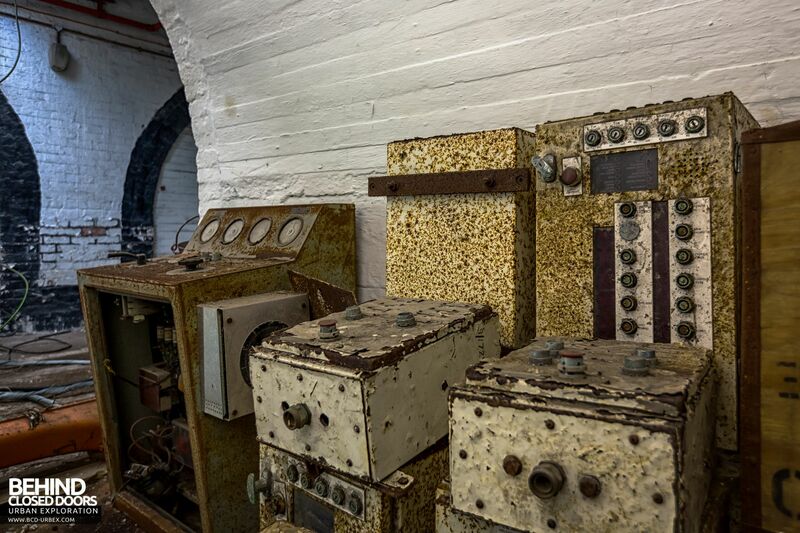 This enabled underground tours to continue until the museum was put into liquidation in 1993 and subsequently closed on 9th August that year. 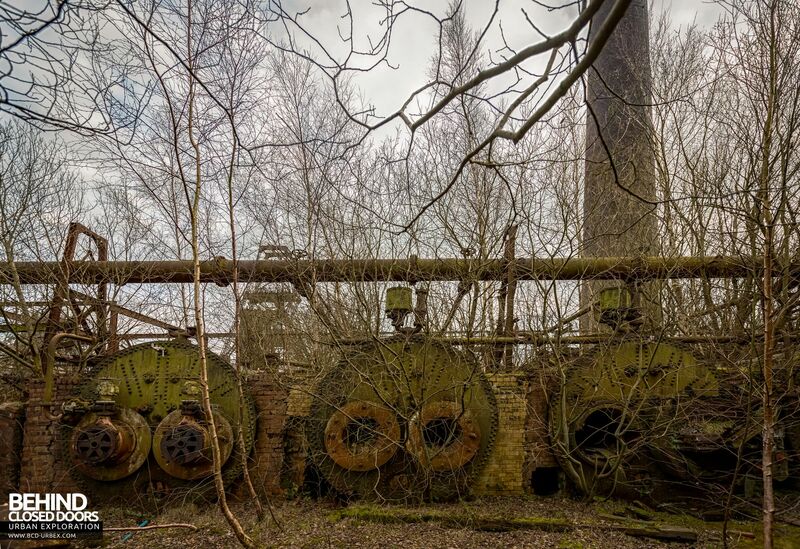 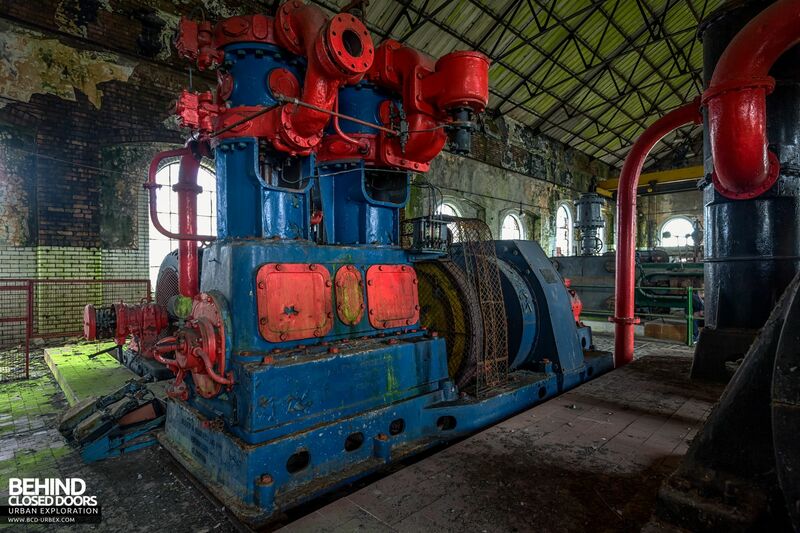 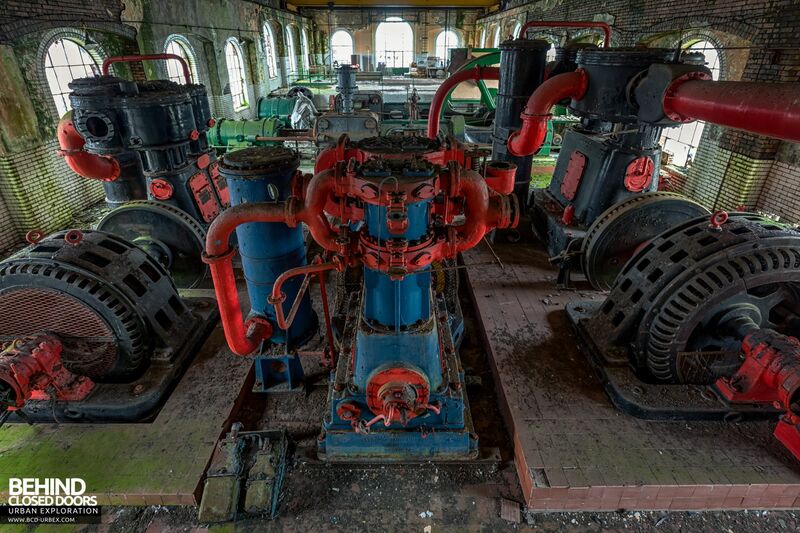 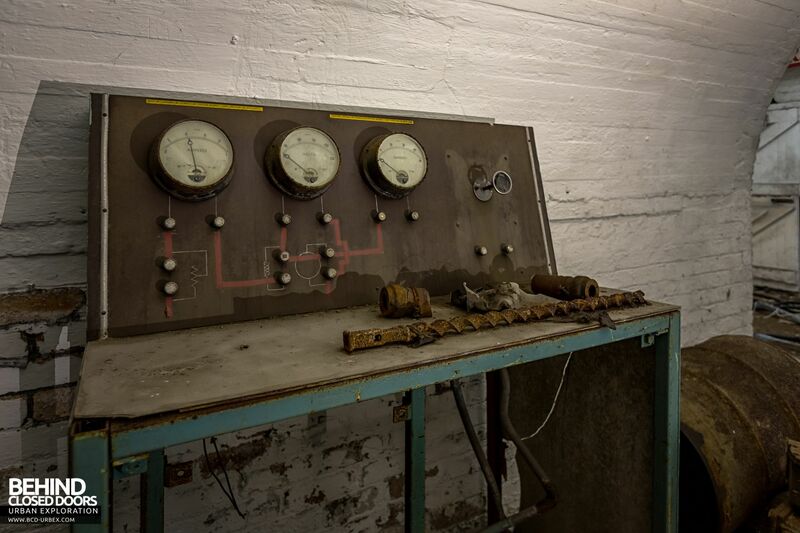 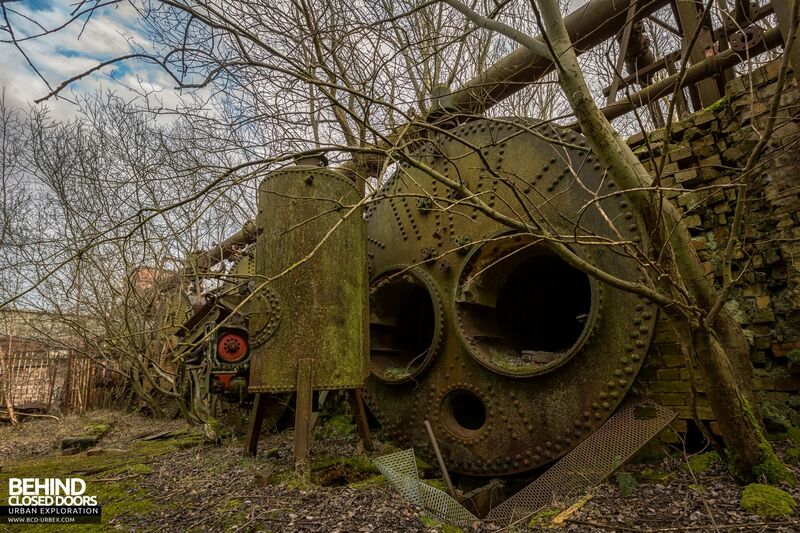 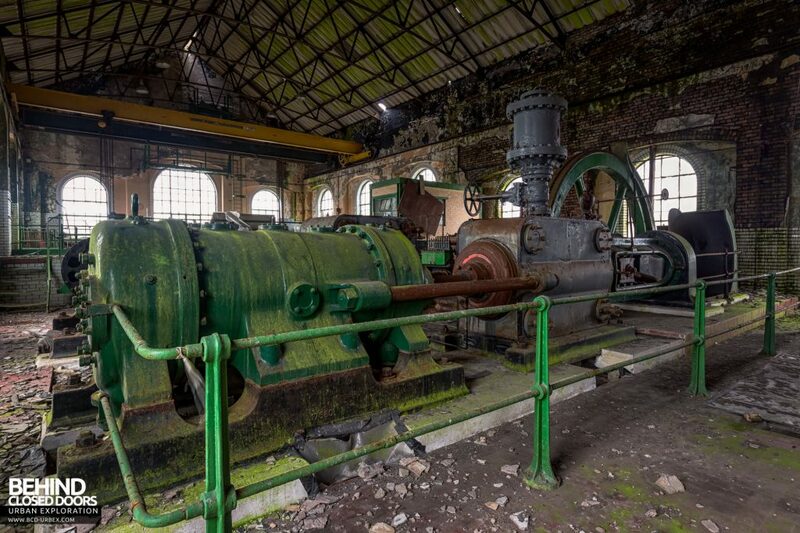 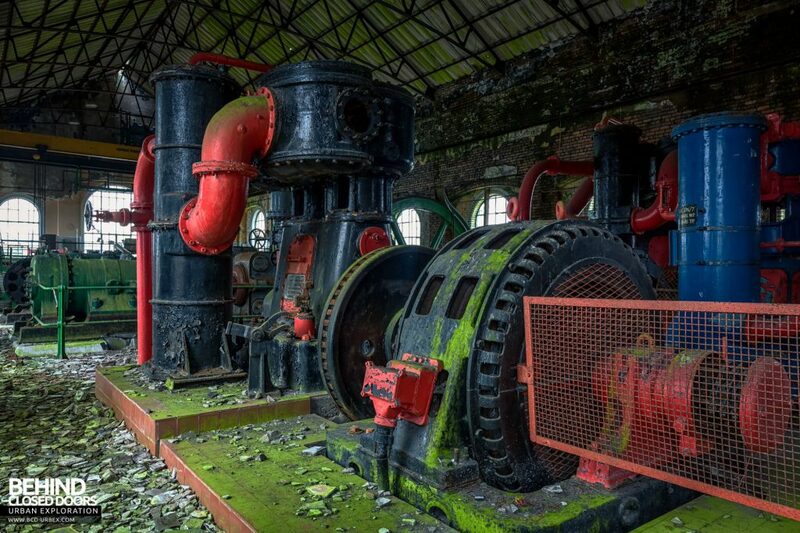 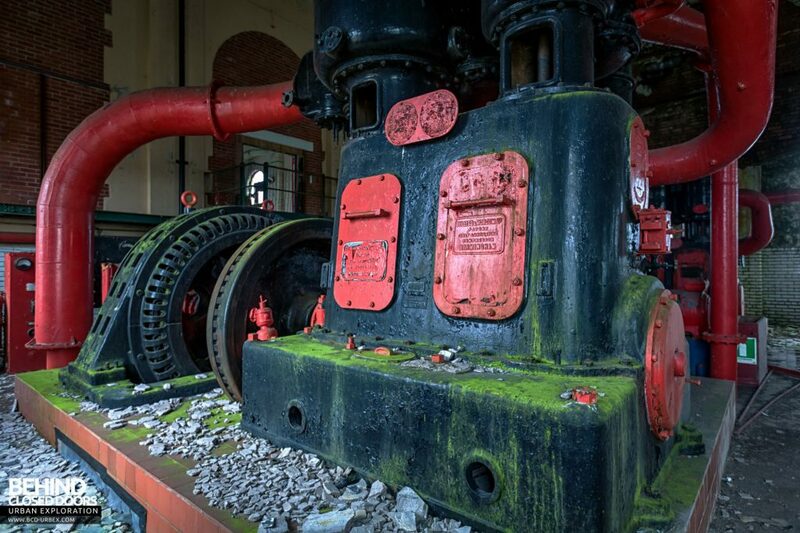 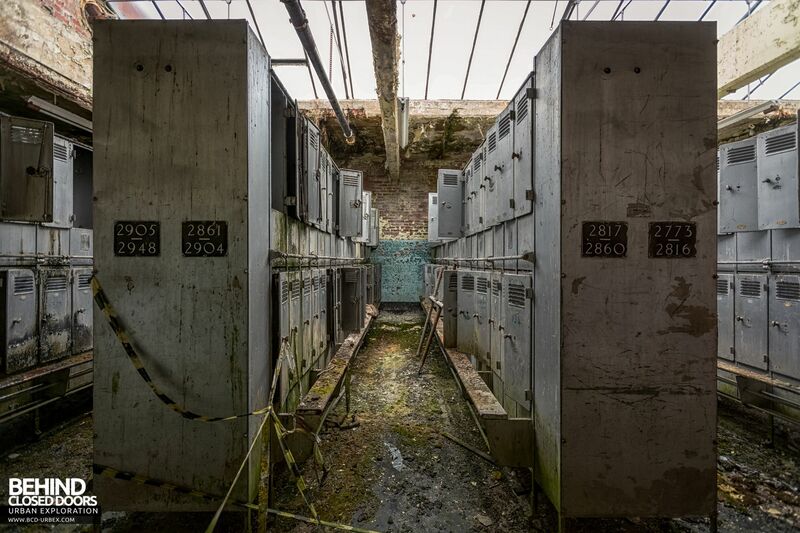 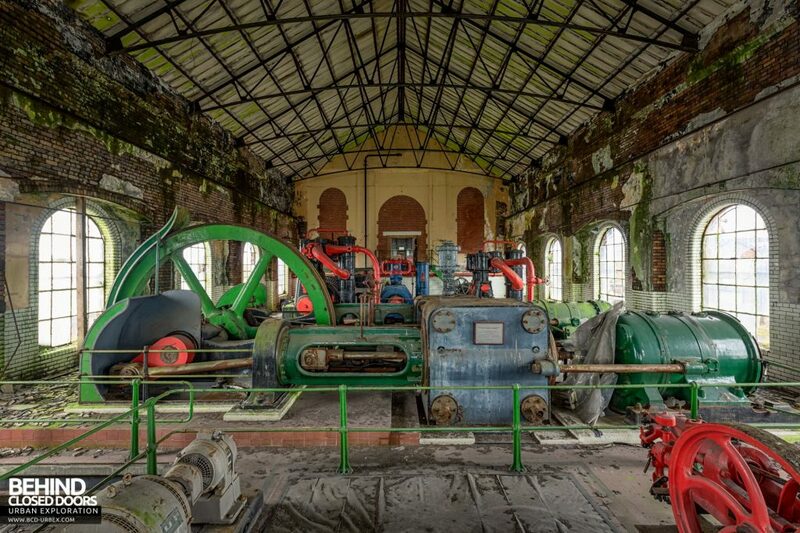 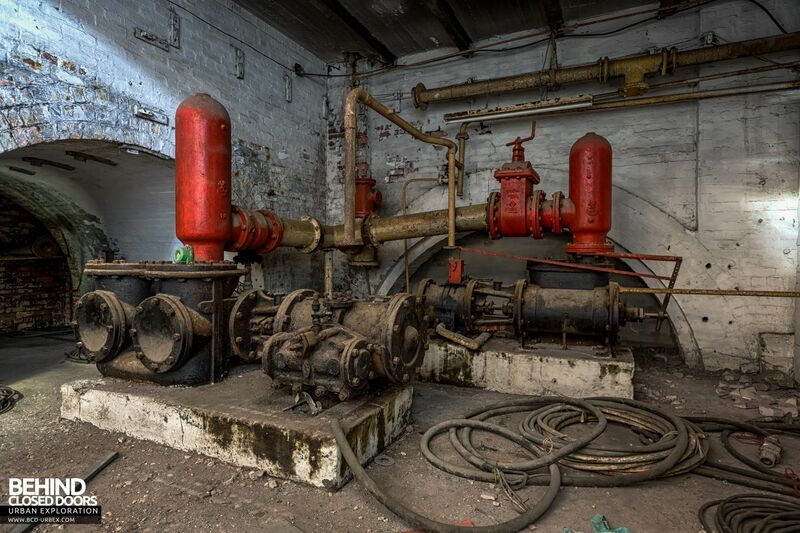 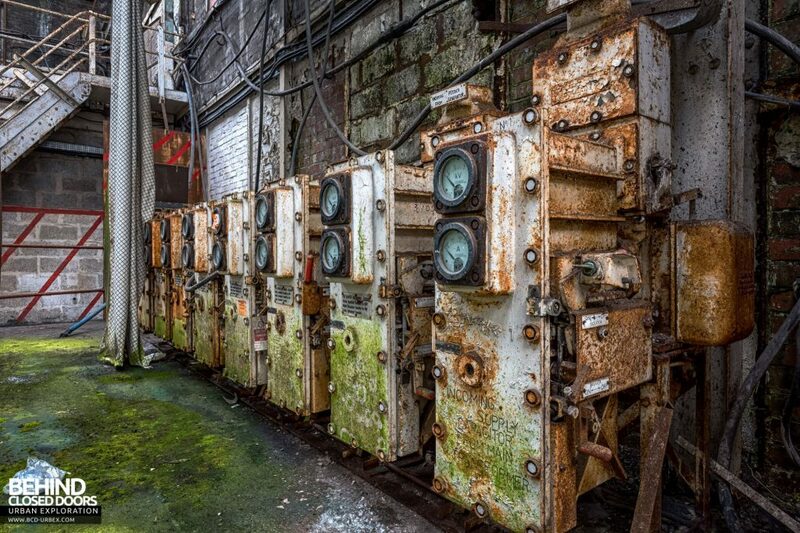 Operational from 1914, the Hesketh power house contained compressor pumps and electrical generating equipment. 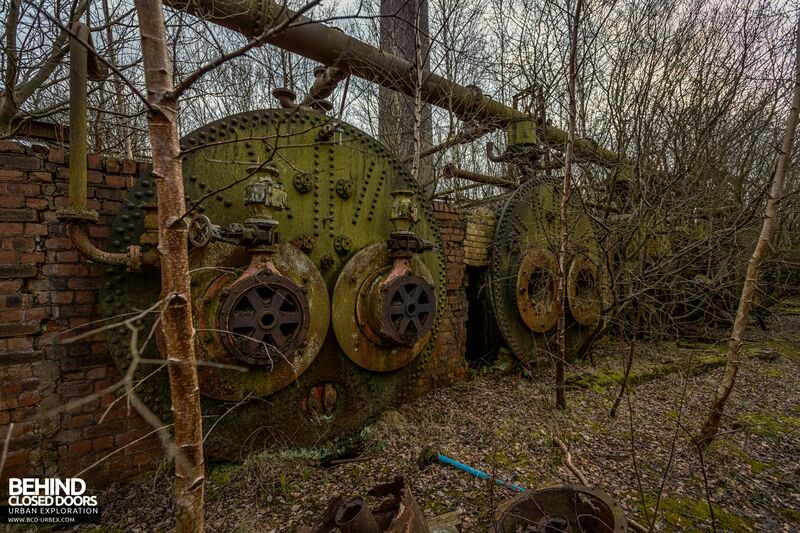 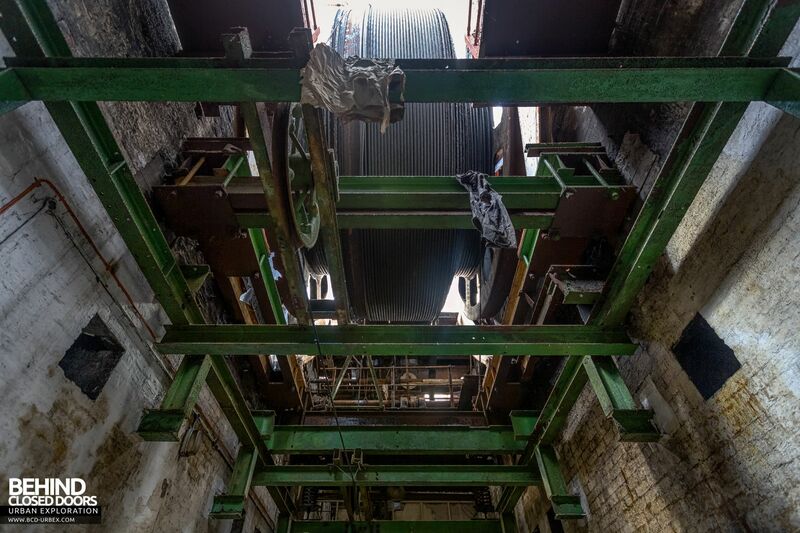 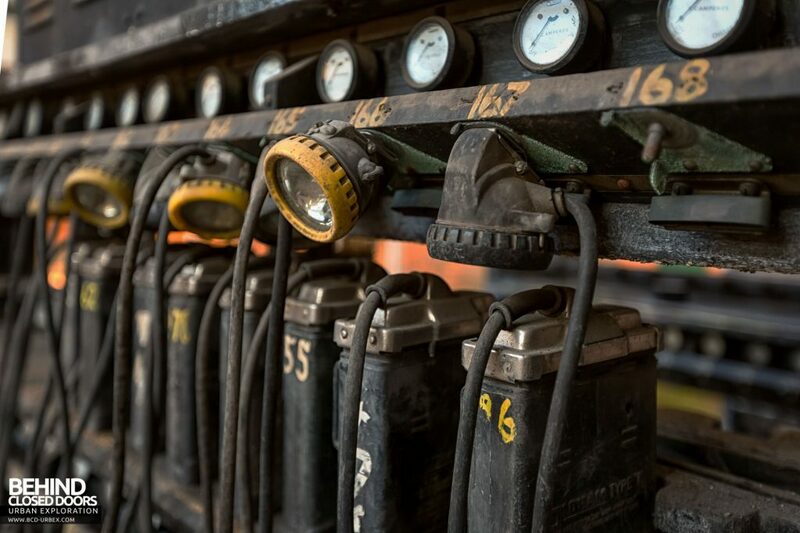 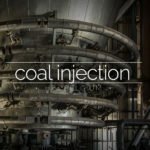 Air was pushed into compressed air receivers to maintain pressure before being pumped down the pit where it would be used to power the machinery such as coal cutters, boring engines, jigger picks and conveyors. 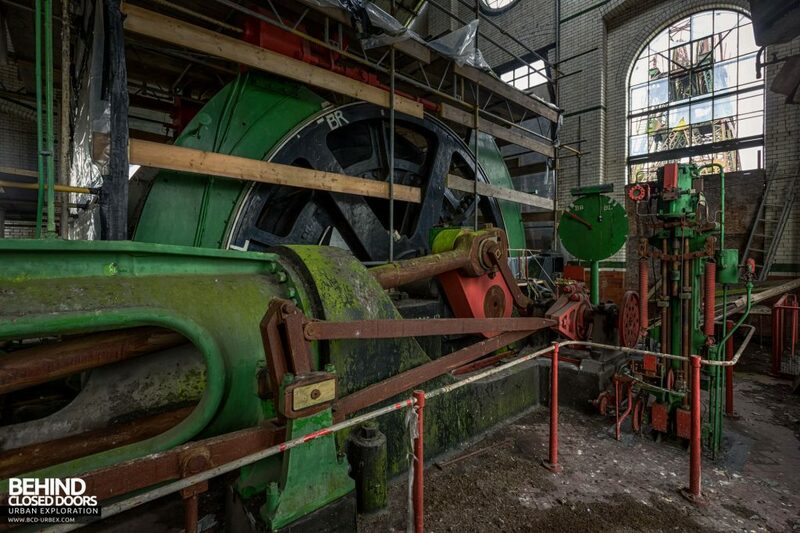 Adjoined to the power house, the Hesketh winding house contains a 500 horsepower steam winding engine, made by Worsley Mesnes lromnakers, Wigan in 1914. 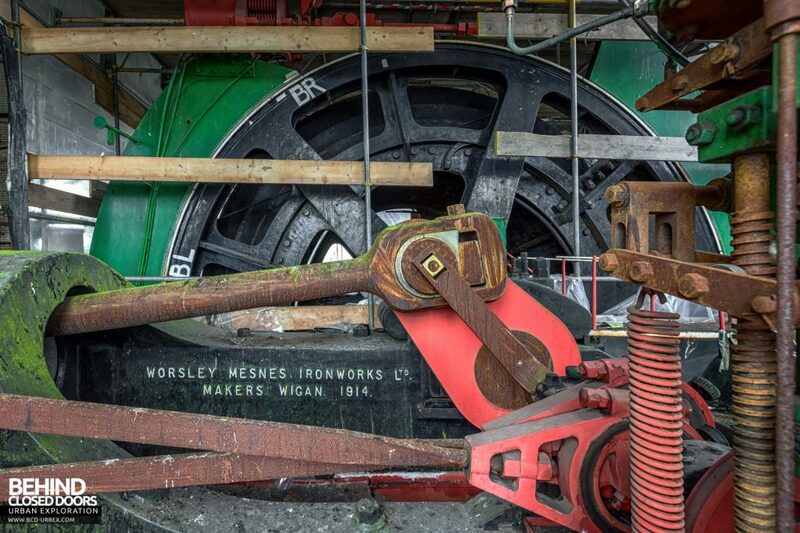 Hesketh Winding House – Worsley Mesnes lromnakers, Wigan 1914. 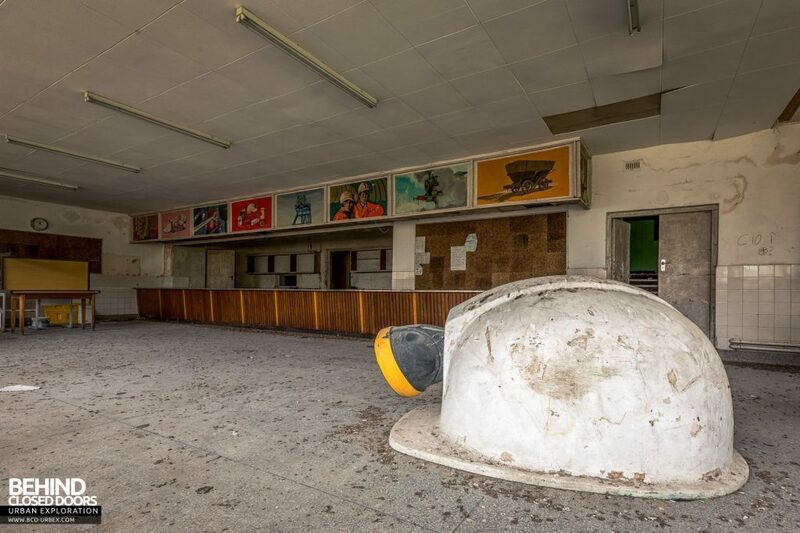 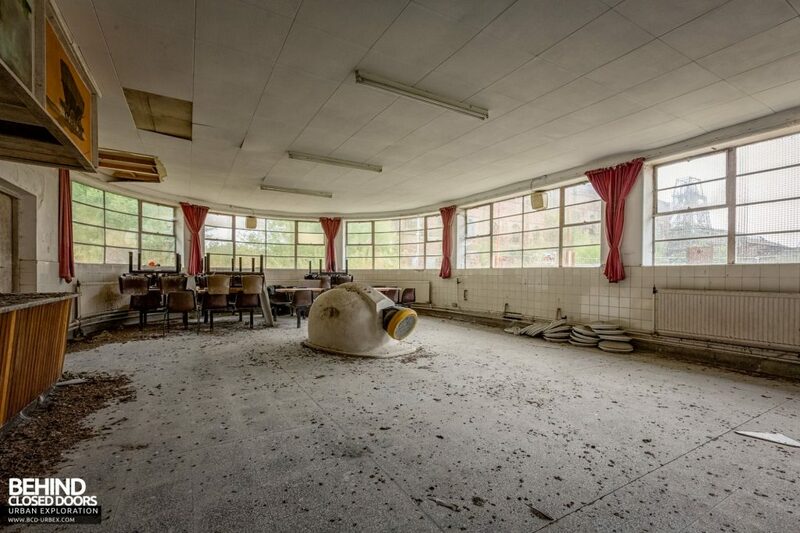 Canteen – There’s a giant hard-hat in the canteen! 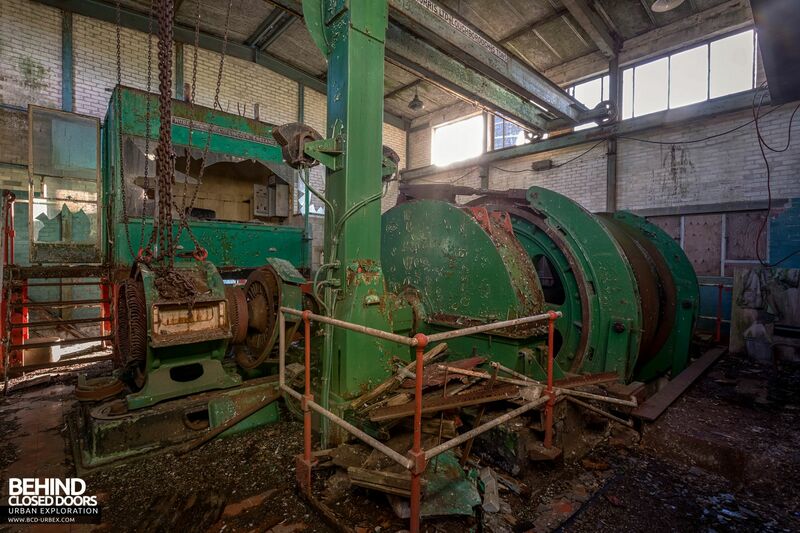 A bank of 10 Lancashire boilers were erected in 1937 to supply steam for the winding engines, pithead baths, canteen, compressors and to heat the offices. 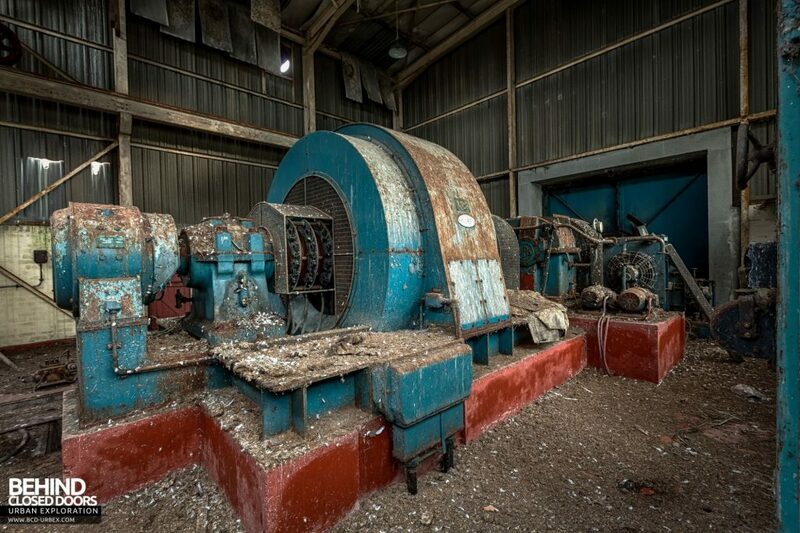 In 1992/93 when the liquidators moved in the boilers were sold off for scrap. 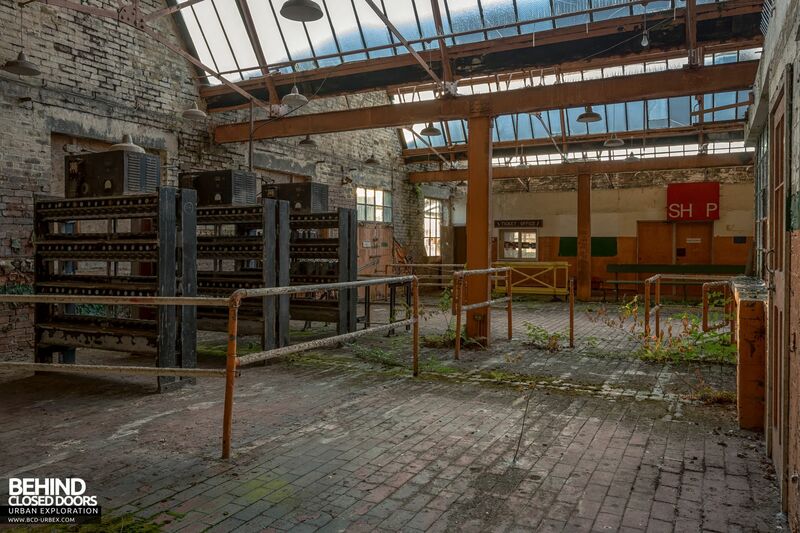 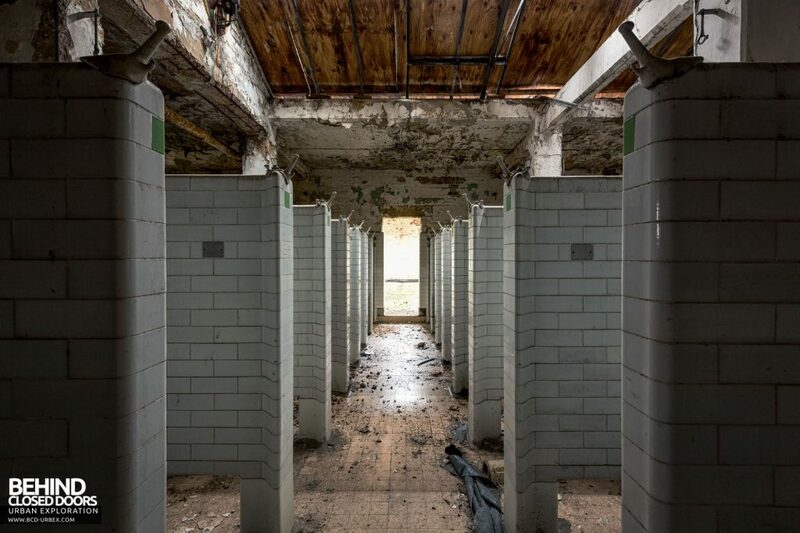 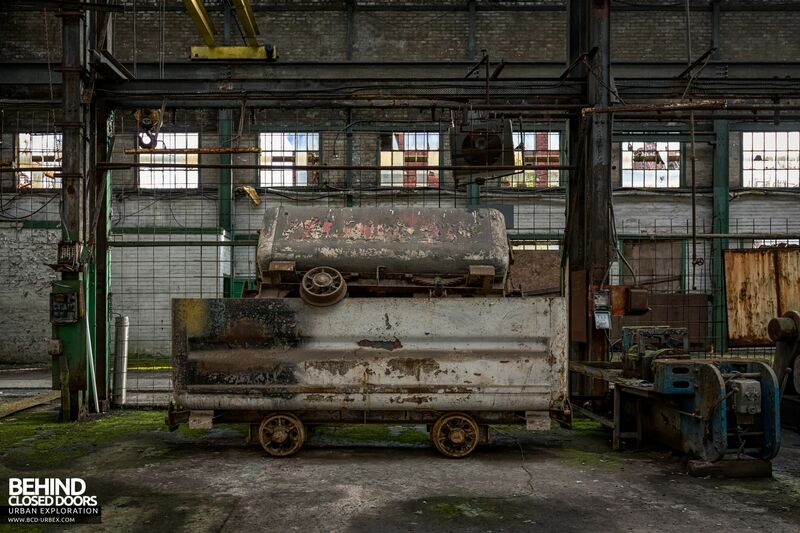 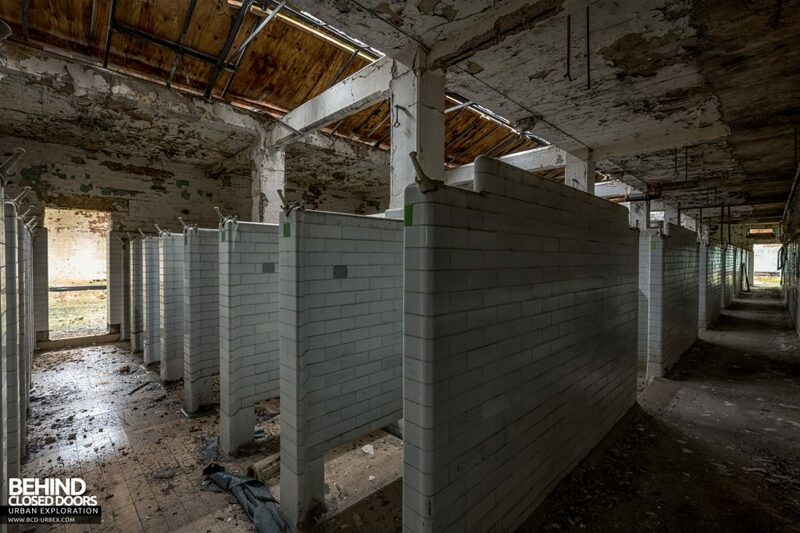 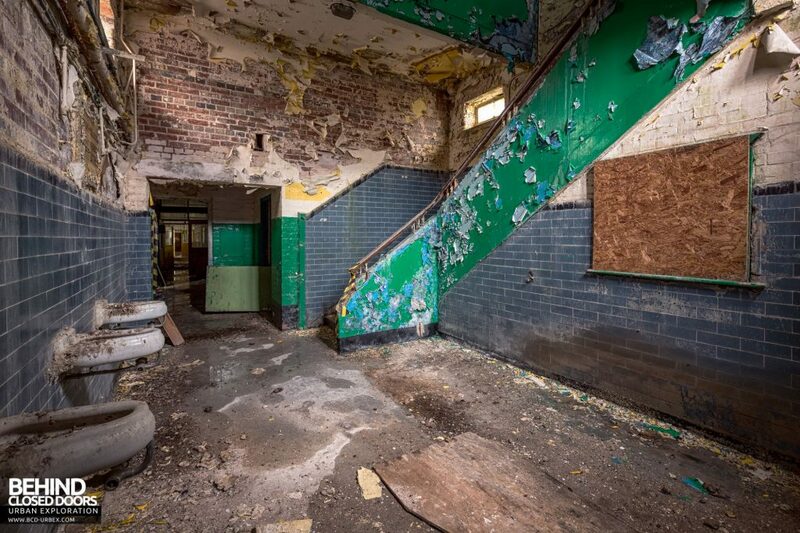 The roof was removed, but before the boilers were scrapped they were saved, however the roof was not replaced which has had a big effect of the derelict state they are now in. 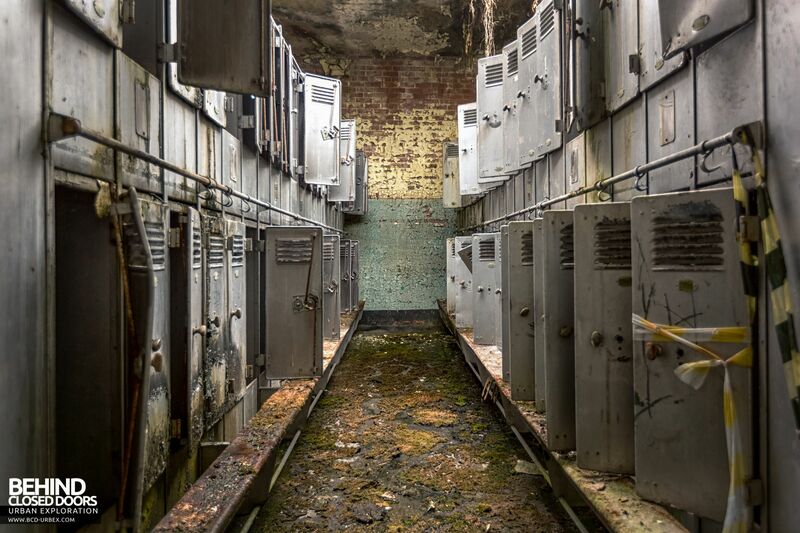 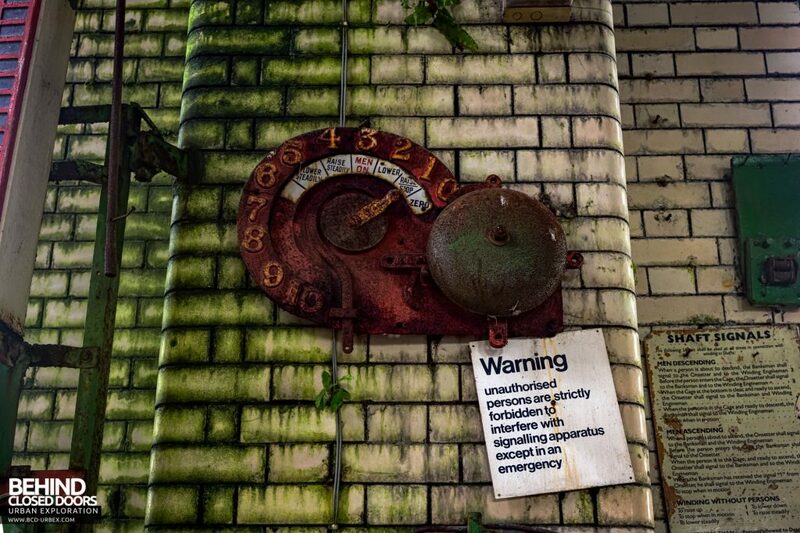 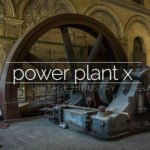 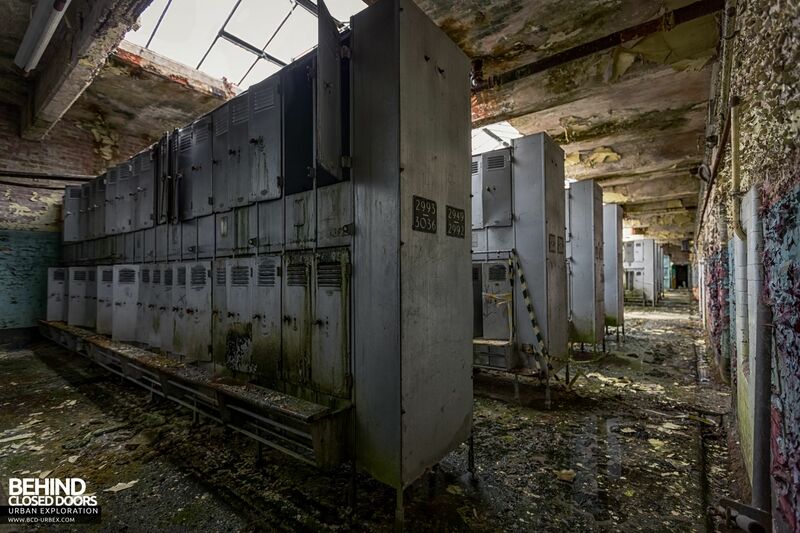 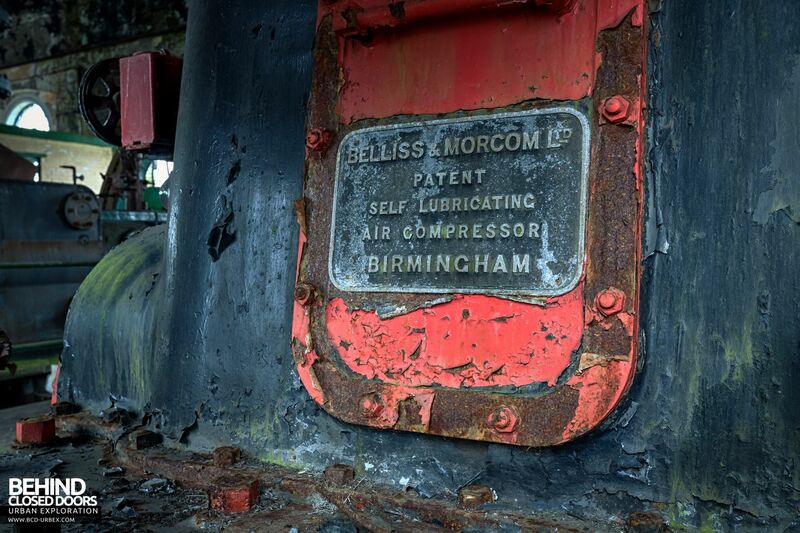 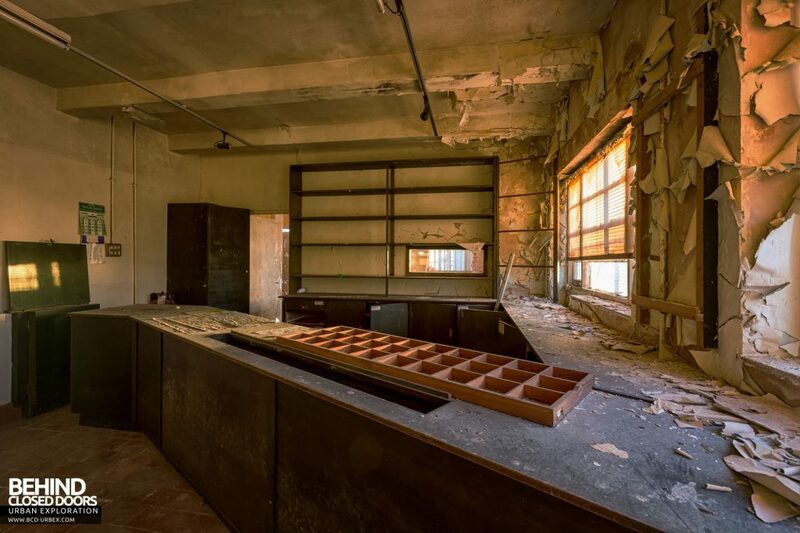 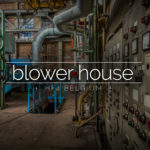 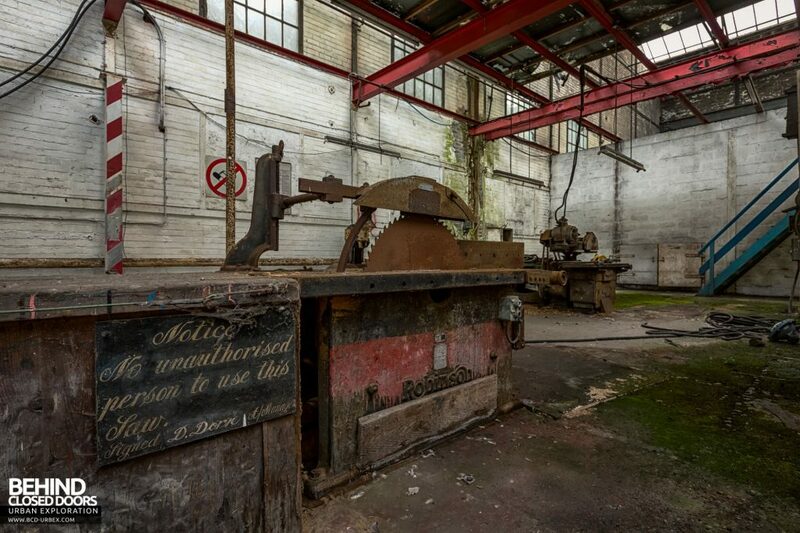 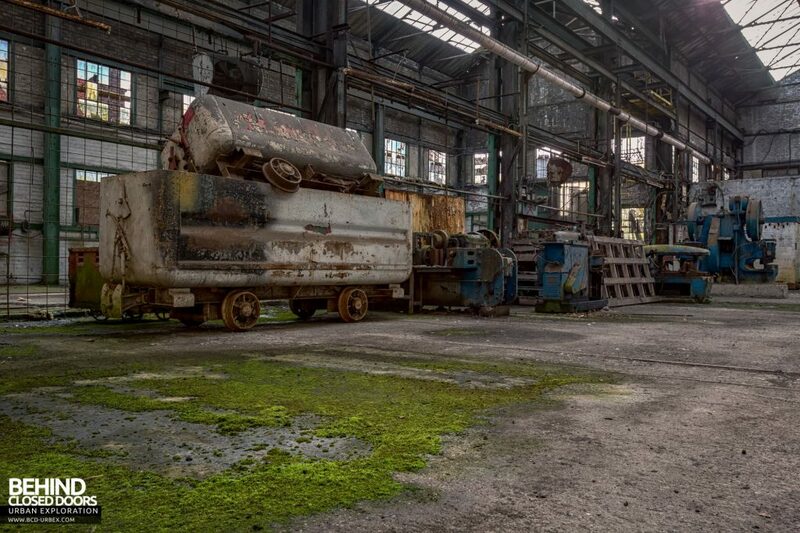 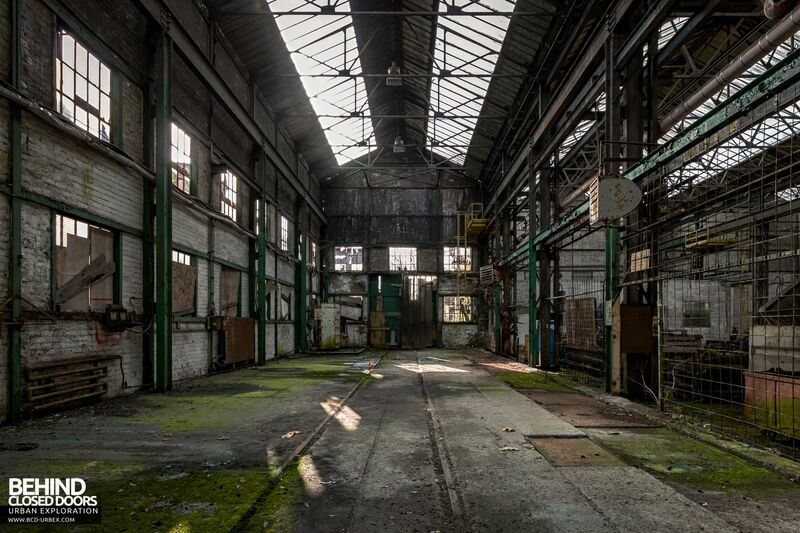 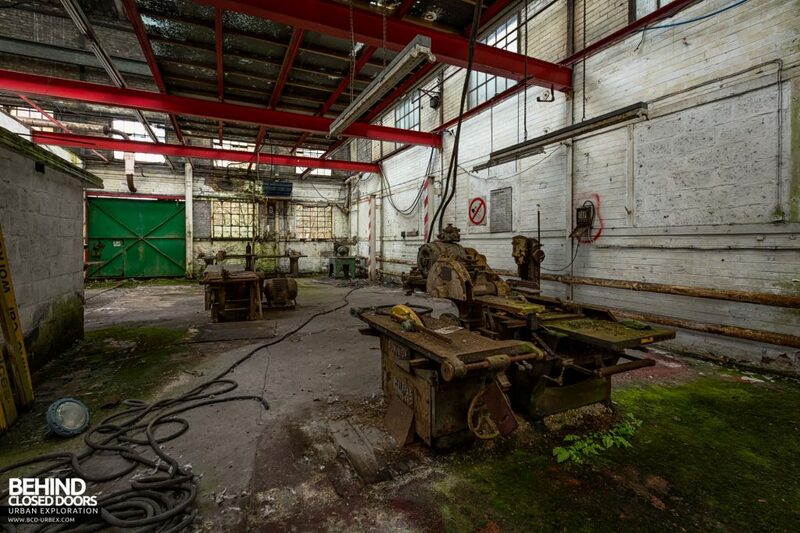 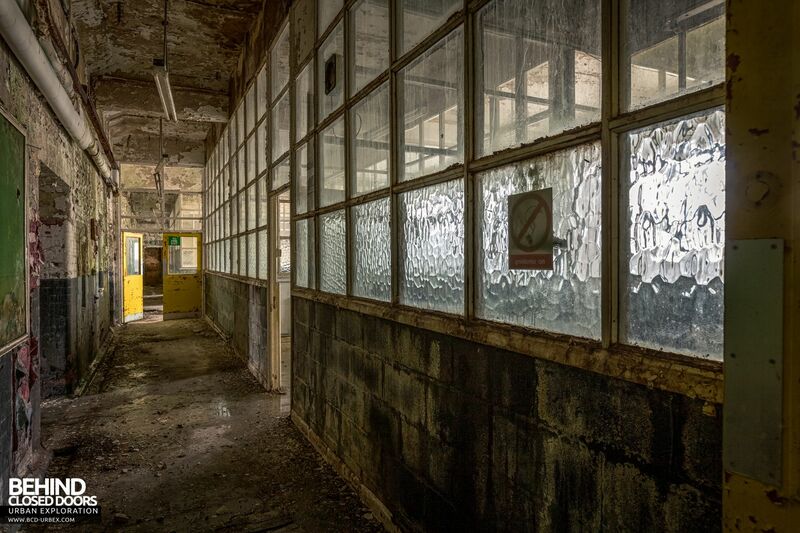 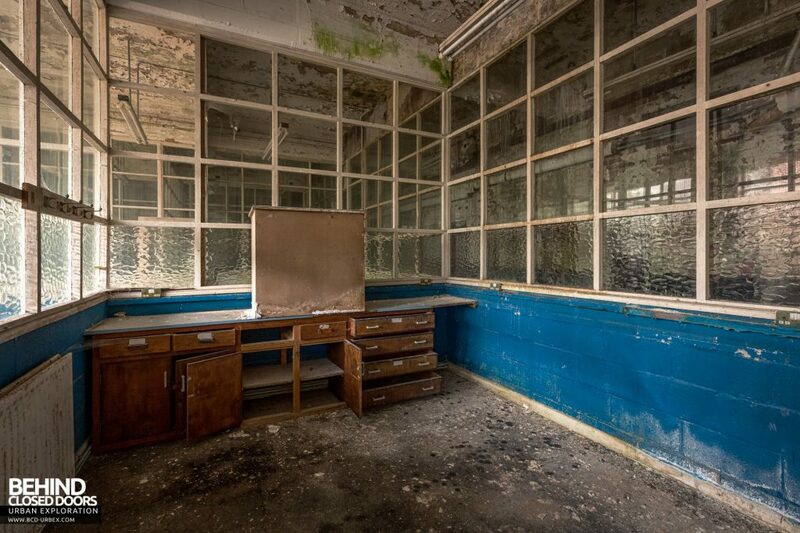 Boiler House – This whole building has become an absolute deathtrap! 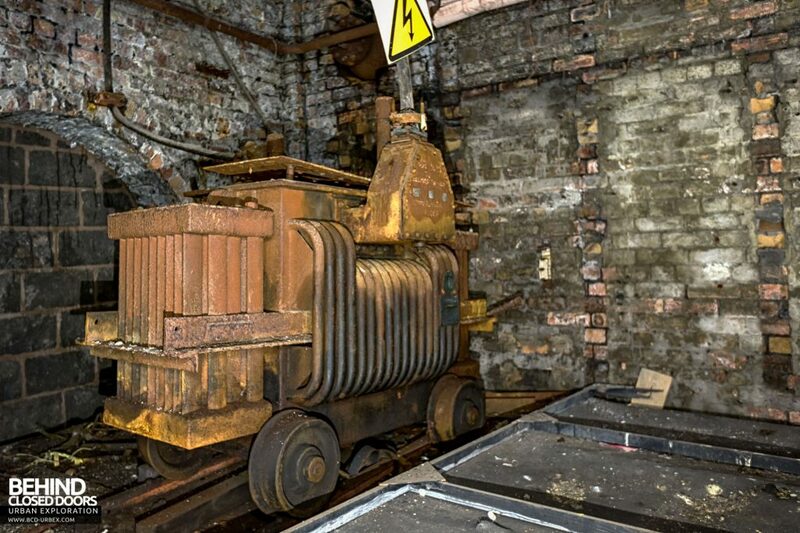 Situated between the Institute and Platt shafts the fan extracted some 43,000 cubic metres of air per minute, which entered the mine via the Hesketh and Winstanley shafts and exited through the Evasee up the Platt and Institute shafts. 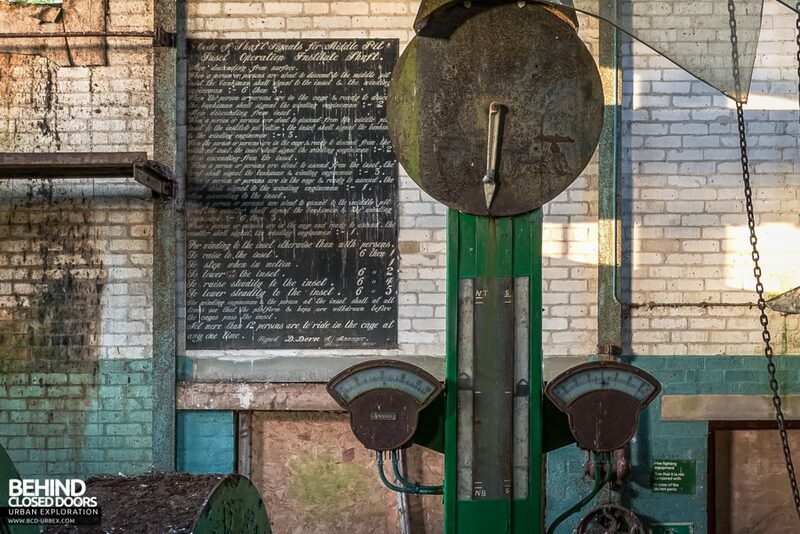 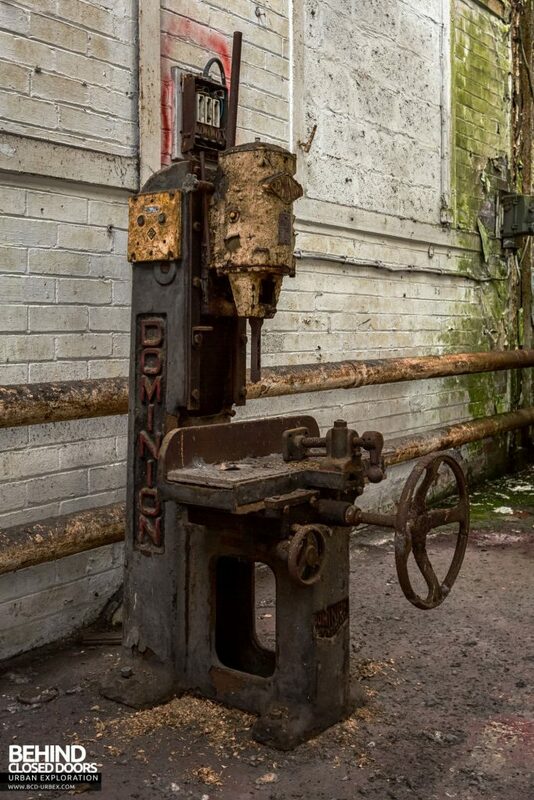 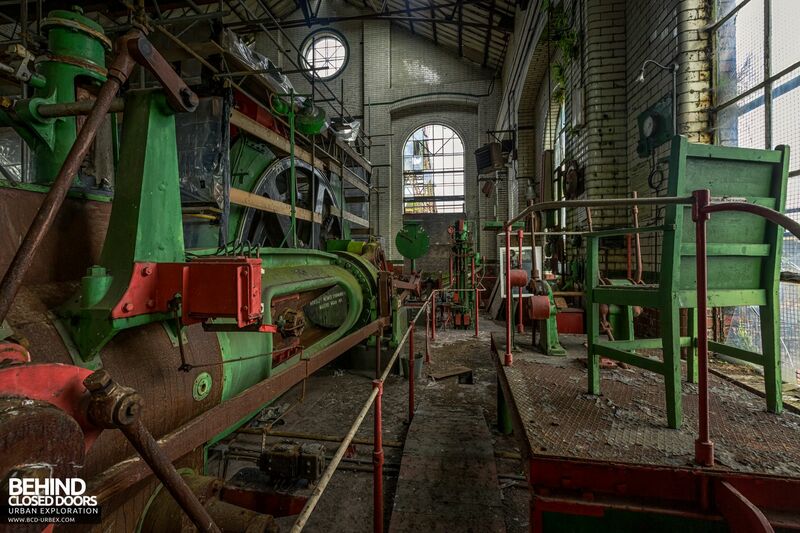 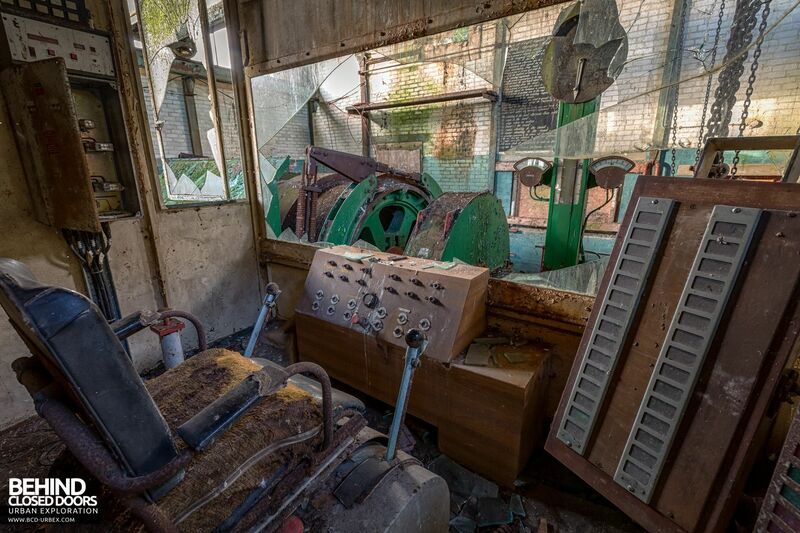 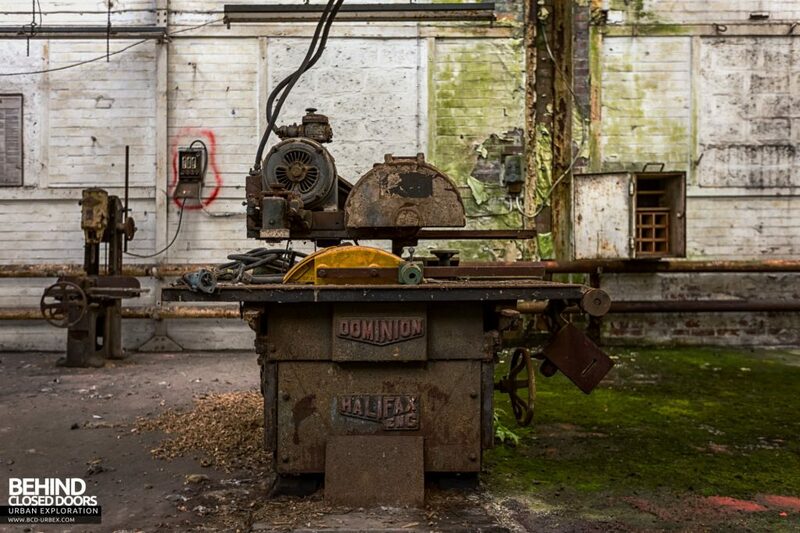 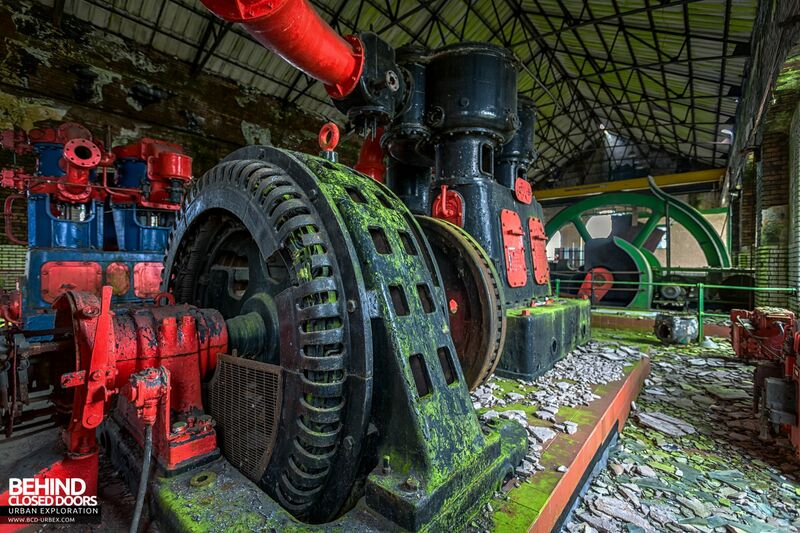 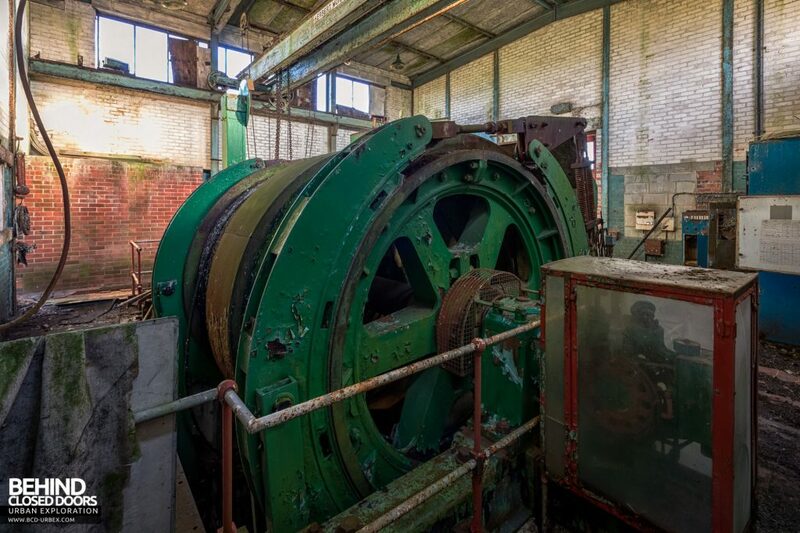 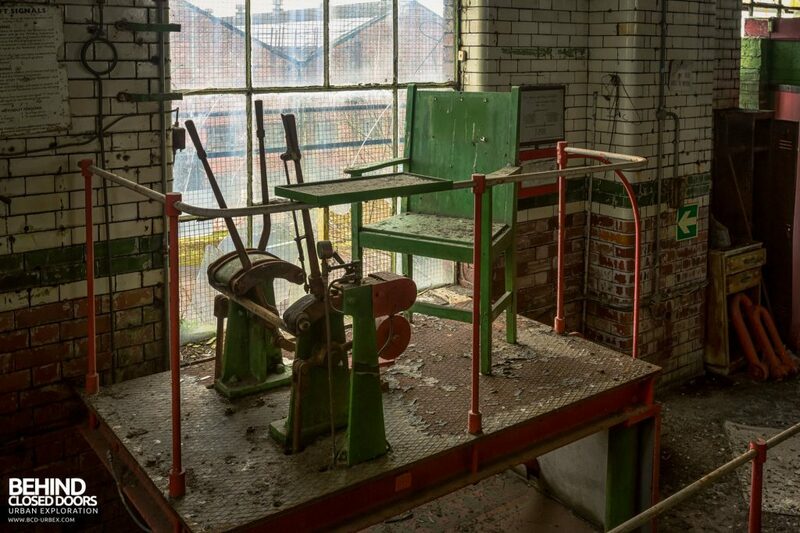 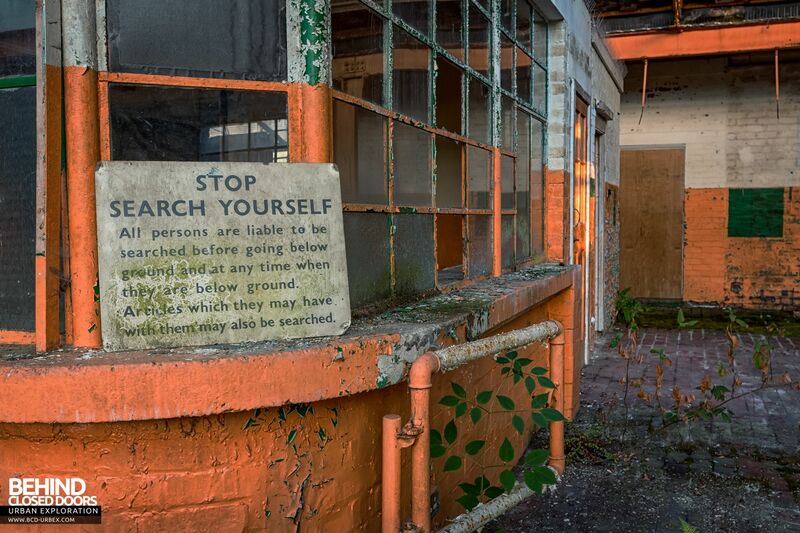 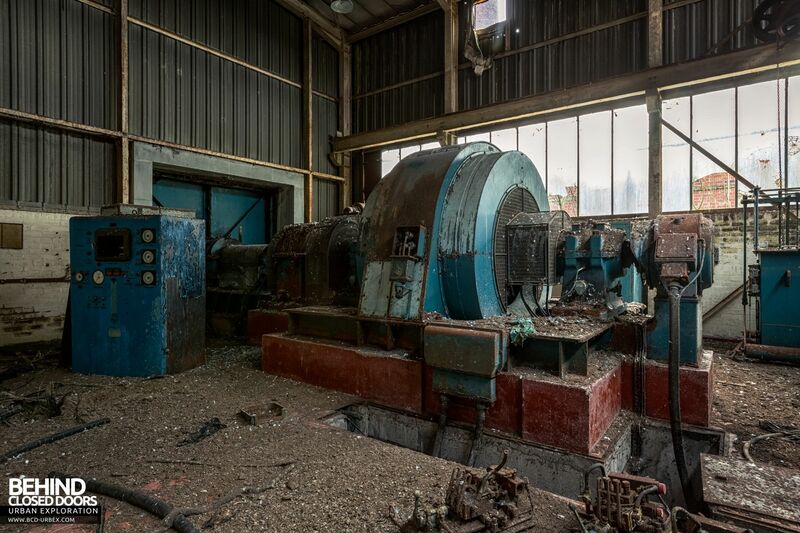 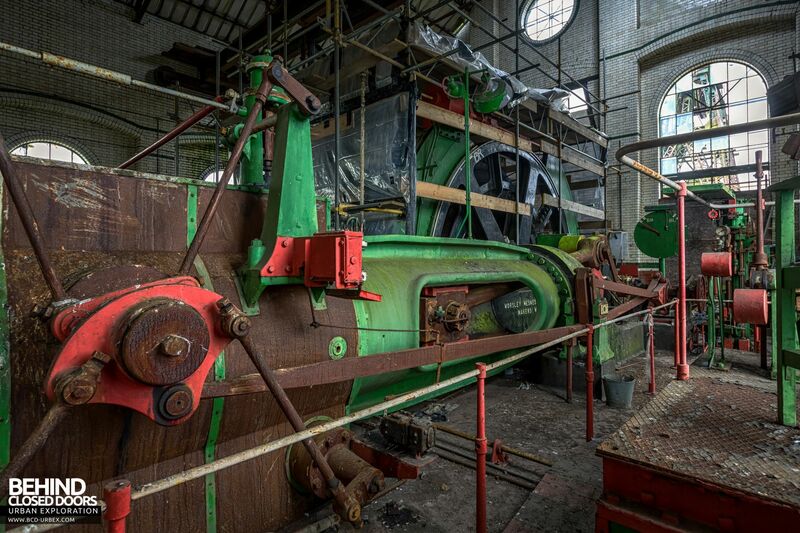 The Institute Winding House was installed in 1966 and was fitted with a single 270 horsepower electric drum winder. 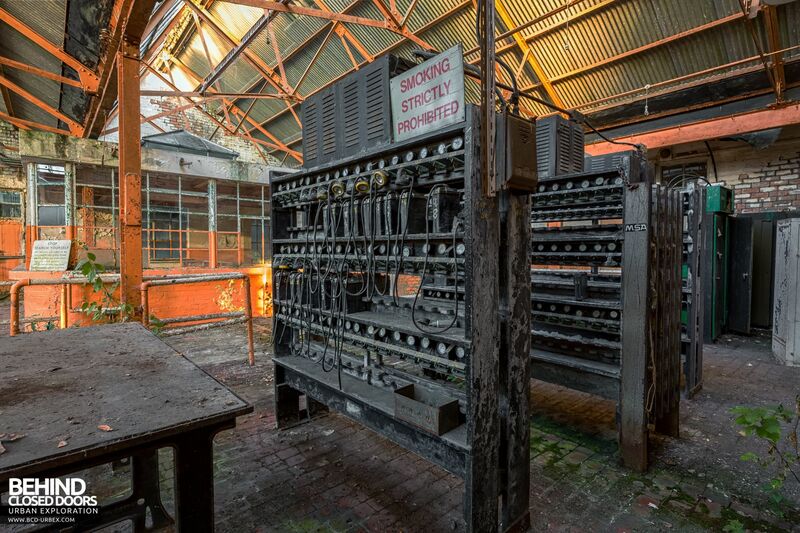 The system had one cage functioning as an upcast. 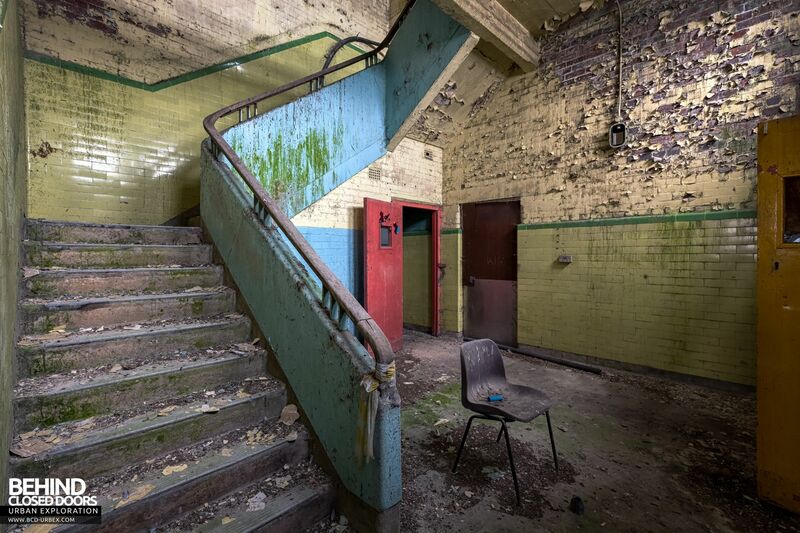 The lamp house was added in 1922, after the older lamp house was deemed too small owing to an increase in manpower and the introduction of electric lamps. 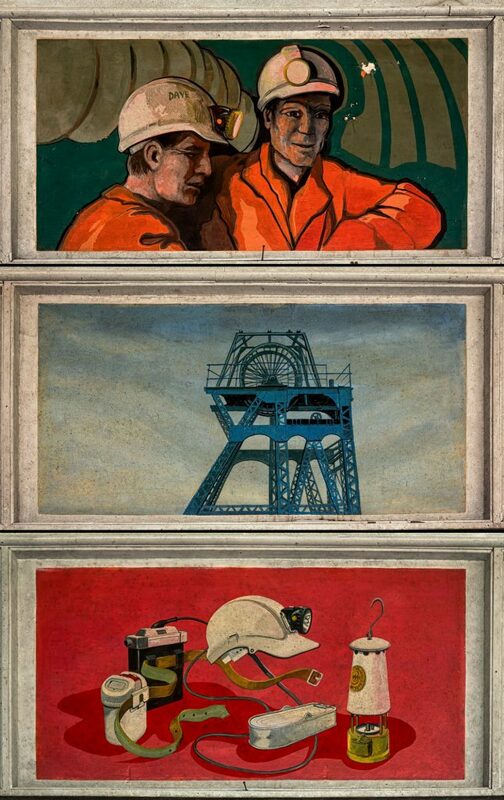 And a couple more to finish off with…….